The world’s largest cake decorating show is back! The world’s largest cake decorating show celebrates the end of its 21st anniversary year at the NEC, Birmingham from 6-8 November 2015. The globally recognised event will be opened by chocolate extraordinaire Will Torrent and will feature life size cake and sugarcraft characters such as Maleficent, the newest creation from Emma Jayne and the 40th anniversary celebration of the Rocky Horror Sugar Show. For more information or to book tickets please visit www.cakeinternational.co.uk, Alternatively, phone the Ticket Hotline on 01425 277988. Cake International have been very kind and they have agreed to send 1 pairs of tickets each to five lucky winners as a giveaway prize. 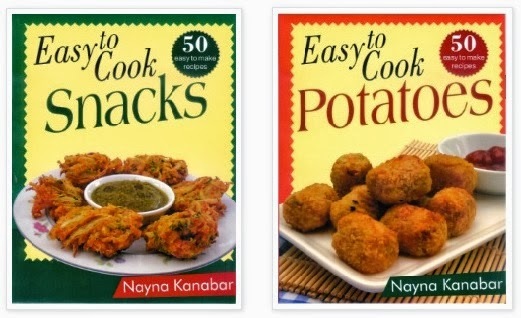 Its been ages since I have bought any cook books. 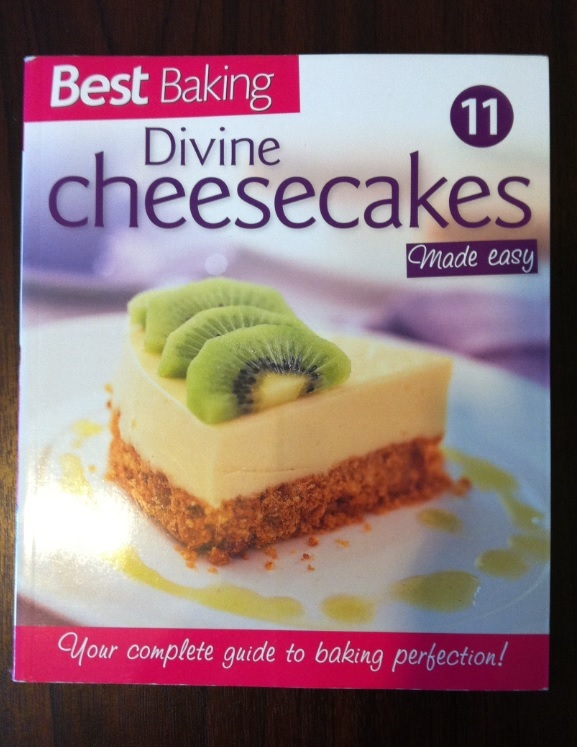 Today whilst out shopping I came across this lovely book Divine cheesecakes made Easy. I fell in love with it and immediately bought two copies. One for myself and one to giveaway to one of my readers. This competition is open to UK residents only over 18 years of age.Please read the rules below . 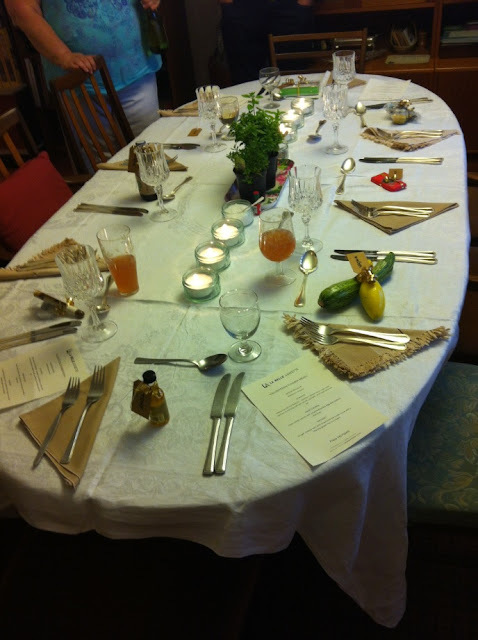 I was recently invited to a dinner party hosted by Heidi who is a food blogger at Kitchen Talks. 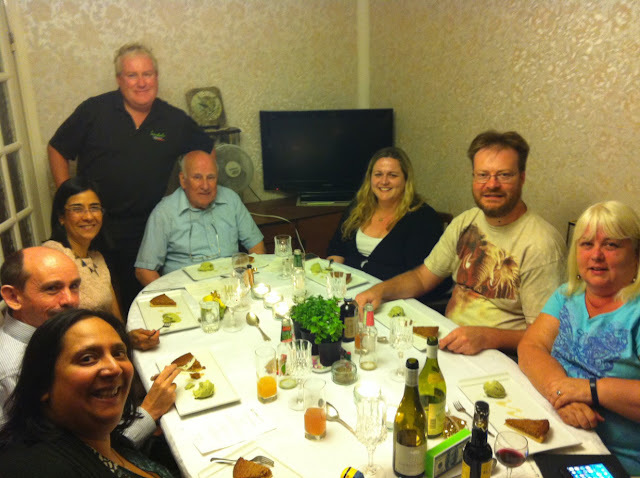 Heidi has a lovely blog where she writes about the produce she grows on her allotment, cooking with her grandchildren and all about her culinary travels to exotic places. 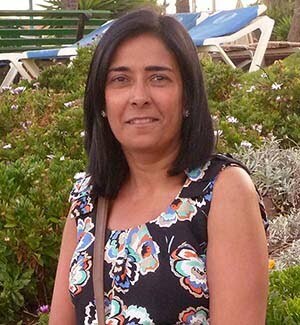 Heidi had booked with La Belle Assiette, a company who provide a chef for the evening who will create a 3 course dinner in your own home for your guests. The chefs provide all the ingredients and plates and will prepare the meal in your kitchen for you and your guests to enjoy.You can request any type of cuisine as there are many chefs working with them. 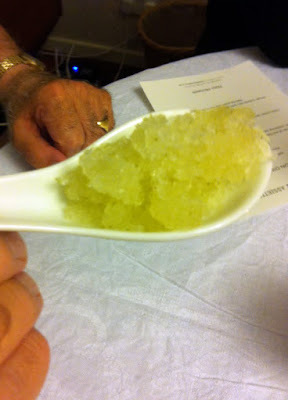 The prices start from 35 pounds per head depending on the type of cuisine and chef you book and do not include drinks. 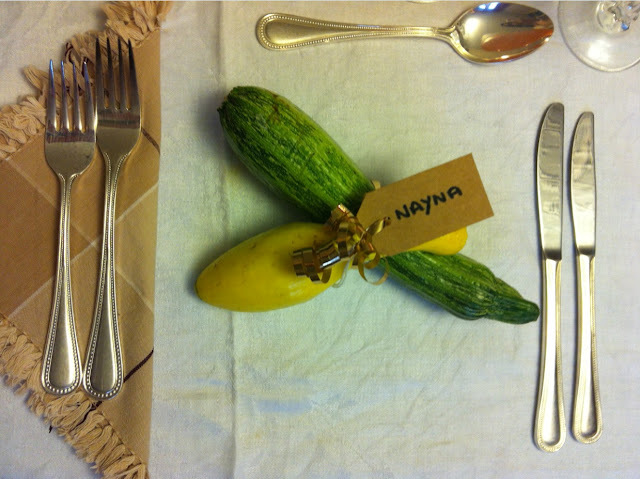 Heidi had set the table beautifully and we all had personalised place settings where we each had a very personalised gift for us with a name tag.You may think its strange why I had a courgette and a yellow squash but this is another story and I will share it in another post. Make sure you come back and read the post. 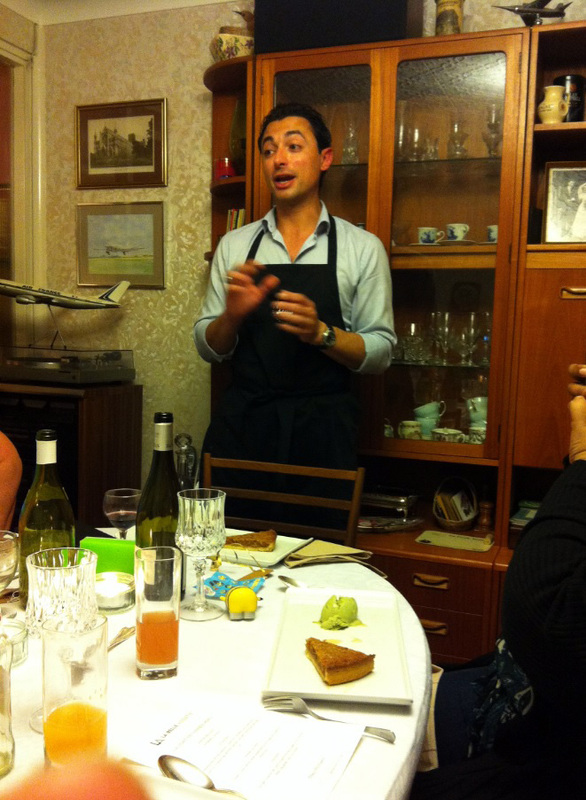 Our chef for the evening was Theo Michaels and he created a lovely menu for the party.However it was not suitable for me and so he created additional dishes for my vegetarian diet. 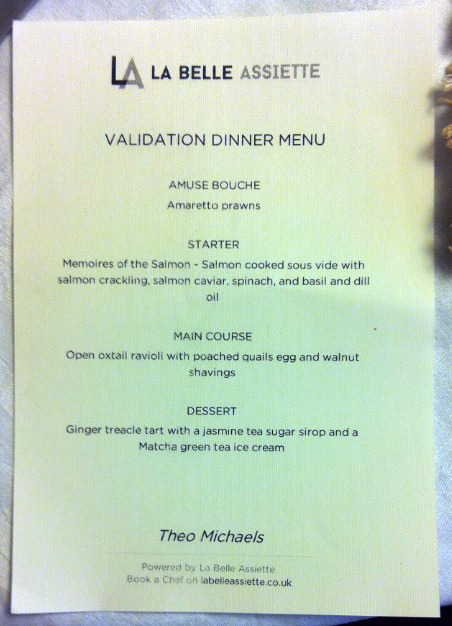 My friends enjoyed the menu below. 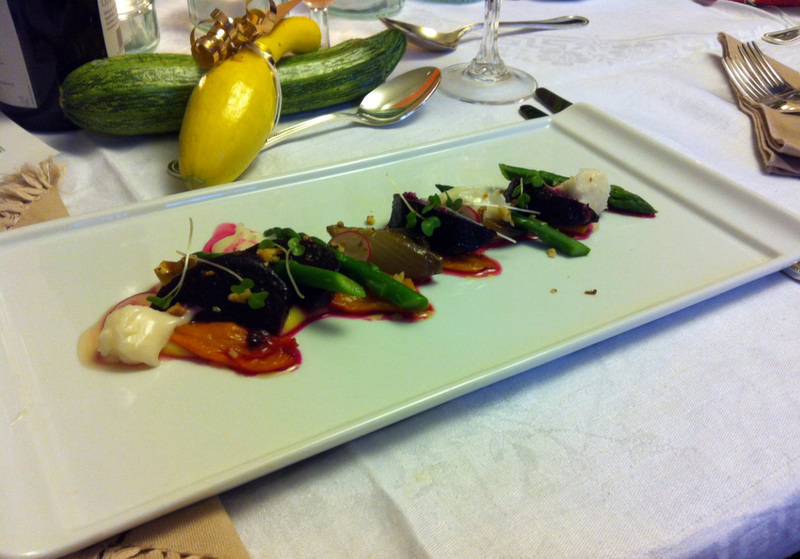 The vegetarian option that I was served roasted vegetables with fava yellow split pea hummus, roasted beetroot with vinegar,oil and garlic on a bed of roasted red,yellow peppers with goats cheese and a walnut and honey dressing with watercress. The starter was light and very delicious and it did not leave you so full that you could not look look forward to the next courses. 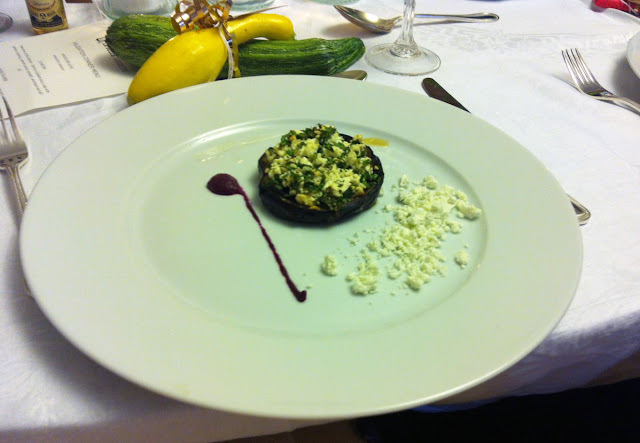 For the main course I had roasted aubergine with feta, with a parsley and lemon topping and powdered feta garnish. I love aubergines especially when roasted and this was a win win dish for me.I really enjoyed it. 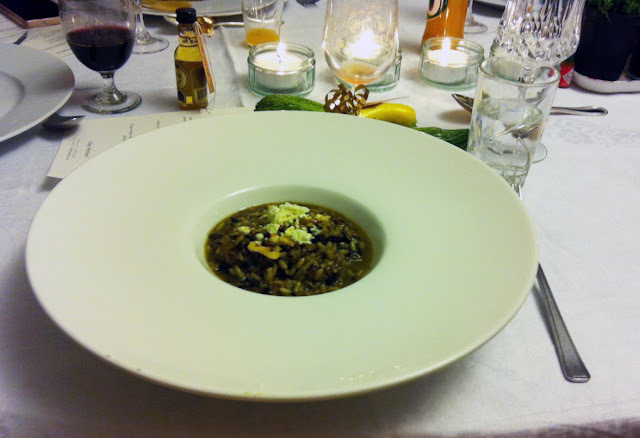 I was also served a wild mushroom risotto, with truffle powder and nuts. I love my risotto well cooked and creamy and I found that the rice was al dente and grainy and was rather salty.This was little disappointing as the first two courses were really nice. The rest of the guests also enjoyed a palate cleanser which was a lemon sorbet made with ouzo. 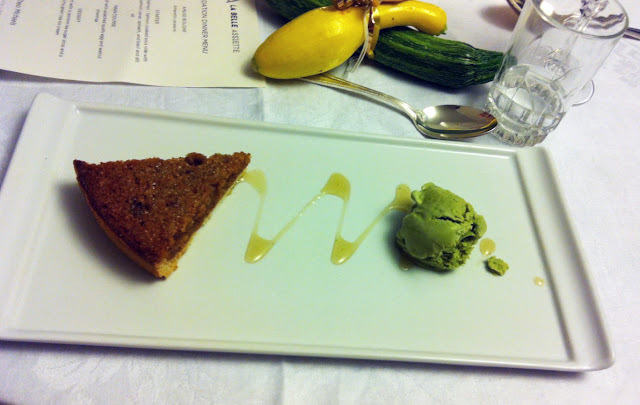 The last course was a delicious platter of dessert, a ginger treacle tart with jasmine tea sugar sirop and a Matcha green tea icecream. This was a wonderful end to the meal, the richness of the tart was beautifully matched with the delicately flavoured Matcha tea icecream. 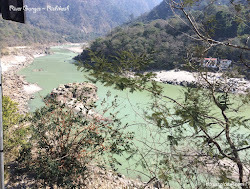 I was a guest at Heidis's party, all the views and opinions are of my own experience.